Clay Tobacco Pipes for Smokers, Reenactments, Movies and TV. Sealing Wax for Wine & Drinks suppliers and Home Brewers. Fine Chemicals for laboratory and Printed Circuit applications. State-of-the-art electronics and radio control accessories. Beautiful Ceramics, and Sculpture including Unique Crystal Vases. Pottery Glazes for Ceramic Artists. Old Collectors Clay Pipes, historical and archeological books, CD-ROMs. Devon Historical Studies including Castles and more bizarre Tales. Interesting Personal stories and Anecdotes. New: Paganism, Witchcraft and Paranormal Investigation. There really is something to interest everyone here! 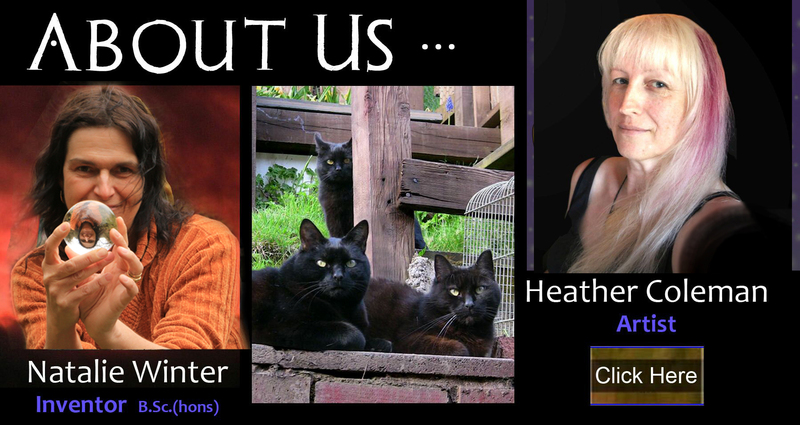 Your artists and inventors are Heather and Natalie who live in Exeter in Devon, England. Dawnmist Wine Making Manual - Updated with New Recipes! 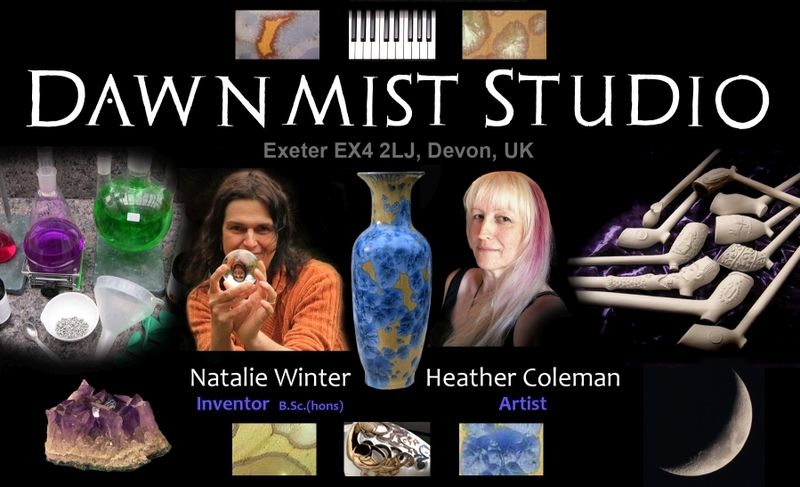 Thanks for visiting Dawnmist Studio! All material on this Website is Copyright (C) Dawnmist Studio 1999-2015. All rights reserved.